On Center Gallery co-owners Jill Rothenberg-Simmons and Scot Presley are pleased to officially introduce PRESLEY ROTHENBERG FINE ART, an art consulting agency geared toward residential and commercial spaces. Rothenberg and Presley combined have years of consulting experience and have already begun working with private clients throughout the US. For more information contact Jill Rothenberg 617.799.5274 or Scot Presley 214.893.0033 or by email at art@presleyrothenberg.com. Andrew Moncrief recently welcomed into his studio Télé Québec's, La Fabrique Culturelle and filmmaker Jérémie Battaglia — of the feature documentary Perfect — for an in-depth interview into Andrew's current state of mind and artistic direction. 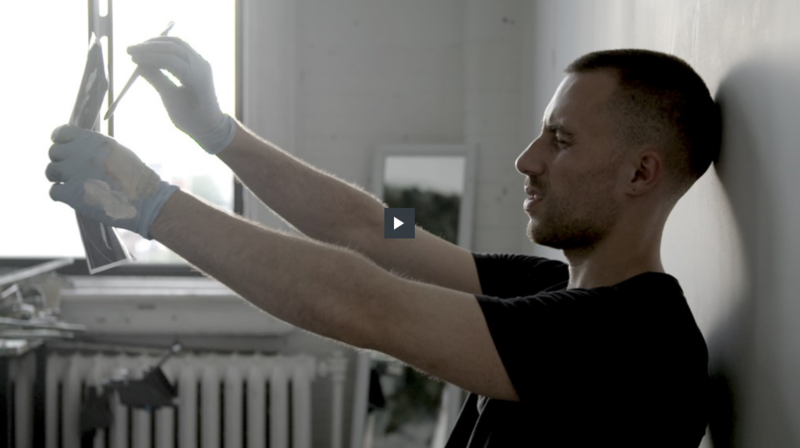 This interview gives a glimpse into his new workspace in Montreal’s Mile-End neighborhood, his process, and discusses of some of the current themes he is working on. Also, you can check out his other interview for his spring exhibition "Losing Face" at Never Apart in Montreal.